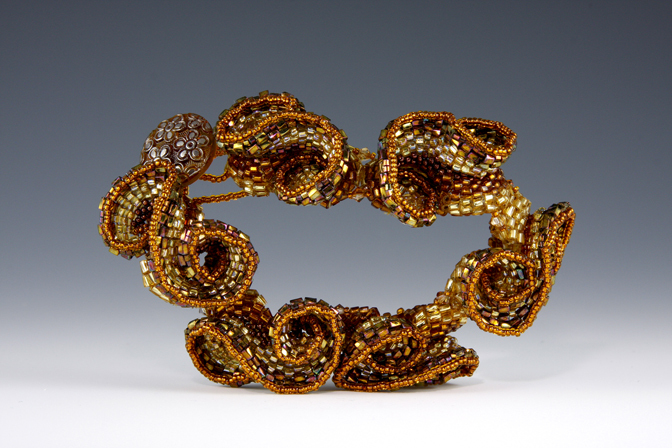 Description: Weave this stunning bracelet from three dimensional sculptural peyote spirals. Add accents of Swarovski pearls and crystals for sparkle. Discover the versatility of the peyote stitch while in creating this fascinating jewelry design.